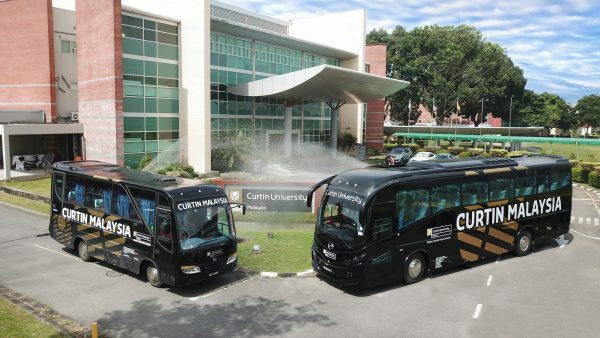 Curtin operates a shuttle service between university accommodation and campus. Please note that there is no Shuttle Service on Public Holidays. Grab is a downloadable ride hailing mobile app which provides a safe transportation platform with easy access, anywhere and anytime. Booking a ride to your desired location takes seconds and the app will provide for you the nearest available driver who will then give you a call and pick you up. When your ride arrives, just hop in the car and the driver will drive you to your destination. The advantage to using this apps is that you will be informed of the estimated fares beforehand and they sure are economical. You will also get to know who will be picking you up, the type of vehicle and its registration number. Grab is available for both Apple and Android users. Download Grab today! You will usually find a few taxis waiting in front of the larger shopping complexes and the major hotels, which are conveniently also located close to the nightlife of Miri. Prices are definitely higher than in West Malaysia. Miri Taxi Service claim Defensive Trained drivers and can be contacted on mobile +60 13 838 1000, landline +60 85 431 000 or email: miri_taxi_service@live.com. Miri Executive Taxi Service is located in Krokop and is open 24 hours. They can be contacted at +60 12 870 4521. An average trip from the cafés, bars and restaurants situated at the Pujut Traffic Circle to campus will cost you around RM35. A taxi between downtown Miri and Campus can cost RM45 or more. Expect to pay slightly more late in the evening. It is certainly possible to buy a good second hand car in Miri, but know that vehicles here tend to be more expensive than in other countries. The upshot of this is that cars tend to hold their value more in Malaysia than they might in your home country. If you buy a car for around RM15,000 for example, you’ll probably be able to sell the same vehicle three years later for RM12,000 provided you take good care of it. Brand new cars on the other hand lose around 30% of the value immediately after purchase. Online, sites like mudah.my are a great resource for finding prices on specific brands, years and models. Keep your wits about you though; if you see a car for sale at a price far lower than others of a similar type, the deal might be too good to be true. Also be a bit skeptical of some claims, judging by some sellers posts you’d be forgiven for thinking that every second hand car in Malaysia has had just one prior owner, a 70 year old lady driver whose only driven to the shops and back for the last 10 years. Be sure to check the service record to verify the vehicle’s history and mileage and, if possible, even have the vehicle tested by an independent service center or repair shop. You can use their verdict to help negotiate on price. Also take the car for a test drive and check whether essential functions like brakes, tires, clutch, gearbox, lights, doors, electric windows, central locking and air-conditioning are working. It can be a good idea to bring along a local friend that at speaks Bahasa or Chinese, as the case may be, to help with negotiations. You may want to also check that the vehicle is actually owned by the prospective seller. This can be done at the Road Transport Department, commonly known as the JPJ (Jabatan Pengangkutan Jalan). You’ll also need to visit the JPJ once you’ve purchased your car to have it registered under your name. In Malaysia people can take loans on vehicles that are transferable after sale. This means you could unwittingly buy a car with an outstanding loan so always check the background of the vehicle for any outstanding loans and warrants. Overall, never rush into buying a car. Always take the time to make sure all the documents are in order and the car has not been tampered with. If you’re on a budget be aware that there are almost no reliable cars below the RM5,000 mark. Cars that are sold below this threshold often need repairs which could easily add up to a couple of thousand ringgits or more. Be prepared to pay at least RM7,000 to RM10,000 for a good car that’s ten years or older. The most common brands in Malaysia are Proton, Perodua, Toyota, Honda, Hyundai and Mitsubishi. Proton and Perodua are the national cars of Malaysia and not subject to import duties making them far more affordable. While they might not be the flashiest cars to drive, these brands are ubiquitous and so repairs are easier at almost any garage and parts are also less expensive. If you do bring your car to a repair shop, get the mechanic who worked on it to join you for a short test drive after the service. Check that your issue has been sorted out and that no new problems have cropped up. Negotiate for a warranty on the repairs. Make sure you have proper insurance in case you run into problems on the road and keep the number of your insurance company at hand. Cycling in Miri can be dangerous. If you decide to cycle, please remember that, like pedestrians, priority is often not given to cyclists by motorists, so one thing to remember is to always stay on the side of the road and never stray into the road unless it is clear! 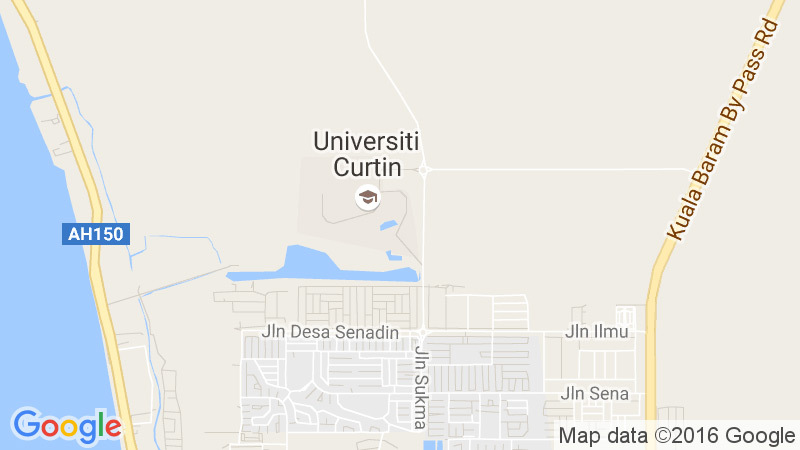 We want to ensure that your bike ride to and from Curtin is safe and enjoyable. So remember that all road rules apply, including on campus, which means giving way to pedestrians and wearing a helmet. Contact our Campus Security to report all incidents of damage or theft.